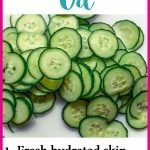 12 Beauty Benefits of Meadowfoam Seed Oil for Skin, Hair & More - beautymunsta - free natural beauty hacks and more! 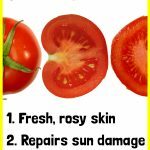 Beautymunsta.com brings you 12 marvelous beauty benefits of meadowfoam seed oil for your skin, hair and more! Read on to find out! Meadowfoam seed oil is a wonderful carrier oil that is a superior moisturizer and offers TONS of beauty benefits! 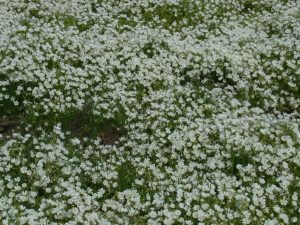 Fun fact: It’s called ‘meadowfoam’ because when in full bloom, the flowers look like the white foam atop ocean’s waves. It is extracted from the seeds of Limnanthes alba (meadowfoam) through cold pressing. The seeds contain about 20-30% oil. 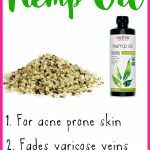 This oil is an amazing hair moisturizer, reduces fine lines & wrinkles, prevents water loss from skin, forms a protective barrier over the skin and has so many other uses for beautiful skin, hair and more! Before we look at the beauty benefits of meadowfoam seed oil, let’s check out its ingredient profile! Meadowfoam seed oil has a light golden color. It is odorless. Meadowfoam seed oil has a medium to thick consistency. It is non-greasy on the skin. Before use, do a patch test on your inner elbow/wrist to see that meadowfoam seed oil does not irritate your skin. Refrigerate the oil to lengthen its shelf life. Below, let’s check out what makes meadowfoam seed oil special by exploring its major nutrients that promote natural beauty! Below are 12 beauty benefits of meadowfoam seed oil for skin, hair and more! Daily Face Moisturizer: In a2 oz amber glass dropper bottle, add 2 tbsp meadowfoam seed oil and 2 tbsp jojoba oil. 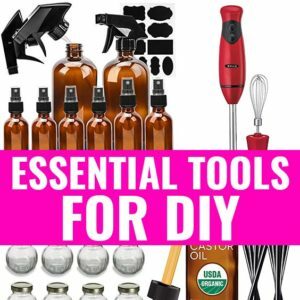 Now add 3 drops each of ylang ylang essential oil, lavender essential oil, geranium essential oil and tea tree essential oil. Cap the bottle tightly and roll it between your palms to combine the oils properly. Apply 4 drops on as a facial moisturizer. Soften rough dry patches of skin by using meadowfoam seed oil! It sinks in and keeps skin cells plump. Use it right after a shower before toweling off for soft skin! One of the best beauty benefits of meadowfoam seed oil is that it slows down TEWL in skin. TEWL is Trans Epidermal Water Loss which means the gradual loss of water from the epidermis/top layer of skin. It’s a natural process that takes place but it dries out skin and makes it look dull so it’s best to slow down this process to keep skin fresh and dewy. By using meadowfoam seed oil as a moisturizer, you can achieve this! Apply it over damp skin after cleansing your face to lock in that much-needed moisture! It’s important to carry out a face massage every night before going to bed if you want your skin to keep looking youthful! An amazing oil you can use for this massage is meadowfoam oil! It has a smooth consistency and is rich in nutrients like essential fatty acids and Vitamin E &C which makes it superior for anti-aging. Meadowfoam seed oil also has strong anti-inflammatory properties! It reduces skin inflammation and soothes blotchy red skin. 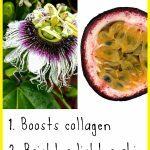 You can use it to effectively calm eczema or skin irritations! Got dry cracked lips? Instead of reaching out for chapstick, try gently smoothing a drop of meadowfoam seed oil instead! It’s all natural and protects your lips from further cracking and dryness. This is because of its rich Vitamin E and fatty acid content. Moisturizing your hair is essential if you want to keep it looking on fleek always! Meadowfoam seed oil is an amazing hair moisturizer! It’s especially good for those with naturally curly hair because it has good slip! Use it to give your hair a nutrient boost, beautiful sheen and keep it hydrated. Did you know you can also use meadowfoam seed oil as a stretch mark reducer? 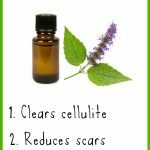 It nourishes skin and helps repair the scarred skin (stretch marks are a form of scars). You can apply it directly on affected areas twice a day without fail to see results! Shiny Hair Serum: In a 4 oz glass dropper bottle, add 2 oz of meadowfoam seed oil and 1 oz of grapeseed oil. Now add 4 drops each of lavender essential oil, geranium essential oil, roman chamomile essential oil and ylang ylang essential oil. Cap tightly and roll the bottle gently between your palms to combine all ingredients thoroughly. Use a suitable amount on freshly washed hair or dry hair as a serum. Meadowfoam seed oil is super high in antioxidants that fend off free radicals. Free radicals promote early wrinkles, sagging skin and fine lines by stealing oxygen molecules from skin cells! Use meadowfoam seed oil under your makeup, as a night oil, facial massage oil or daily moisturizer to promote wrinkle-free skin! Surprise! Meadowfoam seed oil has skin detoxifying properties! What’s more is that it the detox phase doesn’t result in an explosion of purging breakouts and whiteheads! It has a slightly lower chance of causing a purge compared to some detoxifying oils like castor oil. Last but not least, meadowfoam seed oil also helps breakdown blackheads. This is due to its skin detoxifying effect that helps purge out impurities from within the pores! Make a scrub with meadowfoam seed oil by mixing 1 tsp brown sugar and ½ tsp meadowfoam seed oil and 2 drops tea tree oil. Scrub onto your blackheads for a minute then leave it to work for 10 minutes. Rinse off and be wowed by reduced blackheads! Always look for 100% pure quality meadowfoam seed oil without additives. 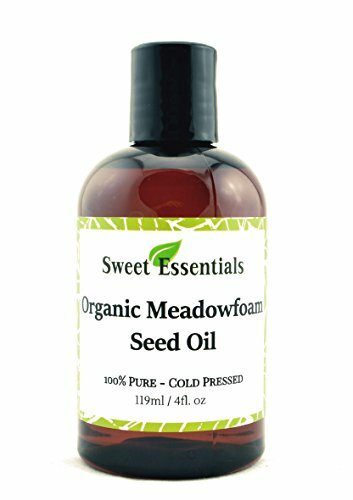 I recommend Sweet Essentials 100% Pure Organic Meadowfoam Seed Oil . It comes in a 4 oz amber glass dropper bottle. Enjoy the above beauty benefits of meadowfoam seed oil for your skin and hair!